This Fairchild plan is a one-story, Craftsman-style three bedroom, two bath home. The kitchen boasts high level stone gray cabinets, arctic white ceramic tile backsplash, a large peninsula with granite bar top, SS appliances, and a gas range. The kitchen is open to the large family room featuring a corner fireplace, vaulted ceilings, and there is also an arched pass-through leading to the formal dining room, making it perfect for entertaining. The master suite has access to the cozy covered porch, and also has an over-sized WIC, linen and water closet, and dual vanities. 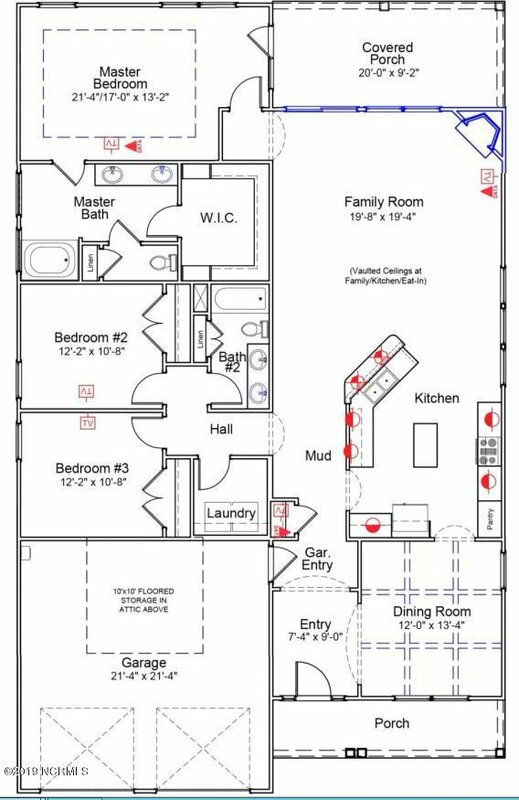 The secondary bedrooms share a full bath and are adjacent to the laundry room. Under-cabinet lighting and Bluetooth music speakers are just a few of the finishing touches that make this home special! MOVE IN READY!! !